Cinemar now offer's the entire line of Dune HD Media Players. The Dune HD Media Players are the perfect compliment to any Cinemar system. All models connect to your network and select models include both hard drive storage bays and/or a Blu-ray drive. One click and you can stream your movies to the selected Dune HD Media Player and control it directly from any Cinemar user interface with two-way feedback. In addition, the Dune plays audio and video to all outputs simultaneously (SPDIF, Optical, HDMI, Component, etc.) The Dune HD Media Players are a good choice for those tired of dealing with all the complexities of an HTPC. Our testing of the Dune HD Max revealed it used only 14.6 Watts while streaming a Blu-ray movie. Pick the model below that best suits your needs. If you have been waiting for a Home Automation product that can handle every aspect of your home control system then your wait is over. The Cinemar suite of software products provide the most affordable and powerful system on the market today. Click HERE and start building your ultimate control system. For our existing loyal customers we have some very attractive upgrades programs just for you. Jump on over to HERE and choose your upgrade path. For more information about these and other Cinemar products, please visit the Cinemar website or call them directly at 262-859-2666. 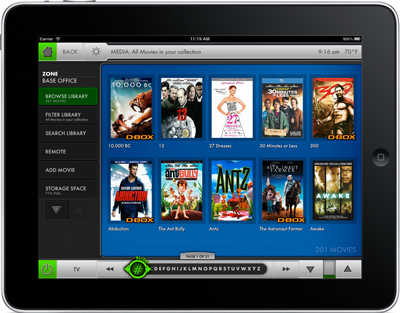 Cinemar, Inc. offers home automation and media management solutions to the budget conscious. Cinemar's affordable and easy-to-use Windows based products control multiple systems from a single customizable interface. Visit www.cinemaronline.com for more information.